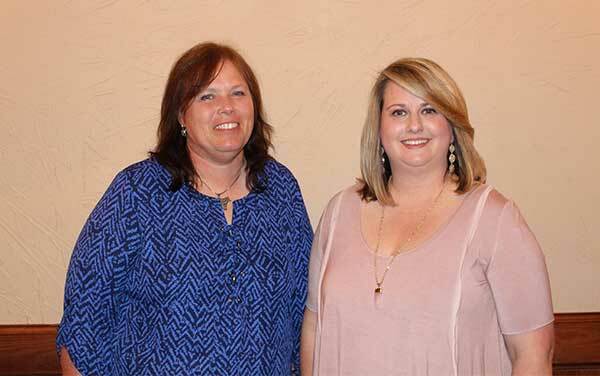 These women will serve as the Alabama Angus Auxiliary Association Officers. Standing from left are Melody Barton, Dutton, AL, president; and Meghan Hill Rutherford, Starkville, MS, treasurer. Photo by Mark Sims, American Angus Association.